Actinomycosis bone infection. 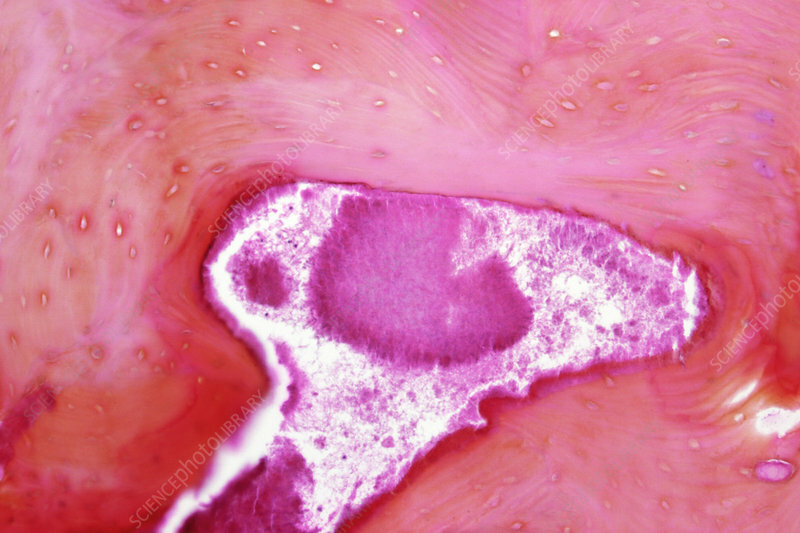 Light micrograph of a section through bone tissue from an upper jaw (maxilla) affected by actinomycosis, showing an actinomycotic grain surrounded by a granulocyte. Actinomycosis is caused by infection with Actinomyces sp. bacteria. It is characterised by the formation of abscesses in the bones, mouth, lungs and intestines. Magnification: x280, when printed 10 centimetres wide.